Lead is a heavy, ductile, soft, highly lustrous bluish-white or gray element. One of its first uses (dating back to ancient times) was in the construction of water pipes, where it got its molecular formula “Pb”, from the Latin word plumbum, meaning “waterworks”. 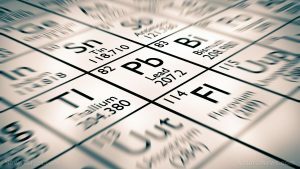 Lead has since then been widely used in so many products, including cosmetics, paint, solder, pipes and gasoline, before people realized its potent toxicity. It continues to pose a real public health danger today. Lead is commonly mined and smelted in Missouri, Idaho, Utah, Colorado, Montana and Texas. In addition, lead is highly toxic to aquatic organisms, with long-term effects. The United States Environmental Protection Agency (EPA) categorized lead as a probable human carcinogen, as per the online chemistry database PubChem. Lead exposure affects the eyes, gastrointestinal tract, central nervous system, haematopoietic system (blood) liver, kidneys and gingival tissue. Upon inhalation, absorption takes place easily from the respiratory tract and symptoms develop relatively quickly as compared to oral ingestion. Lead can be found in a wide range of products, including paint, painted toys, furniture and toy jewelry, certain imported products such as some traditional medicines, ceramics, pipes and plumbing materials, solders, gasoline, batteries, ammunition, food or liquid containers, and cosmetics. Children living in older homes can still breathe in or ingest dust or paint chips from peeling lead paint on the walls. 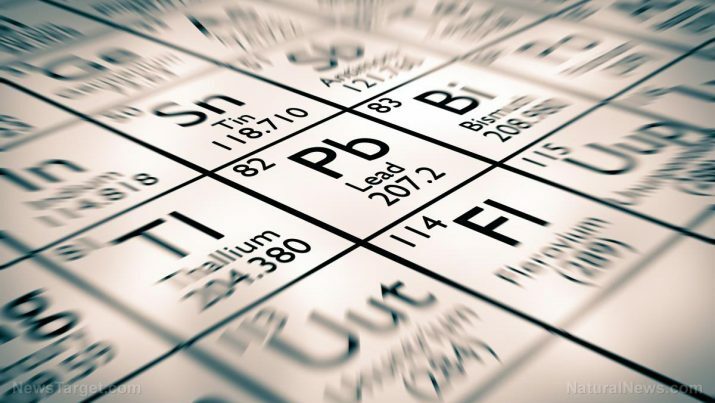 Lead can also leach into the drinking water supply through older, corroded lead pipes, faucets and solder. Lead poisoning in adults is usually occupational or hobbies related due to inhalation of lead containing dust, fumes or vapors. Poisoning often occurs with no obvious symptoms and frequently goes unrecognized. Have local health departments test the paint and dust in houses to detect lead. Keep children away from peeling paint as much as possible. Avoid medicines and cosmetics that may contain lead. Remove shoes before entering the house. Wear protective clothing before leaving the work site. Do not eat or drink in any area contaminated with lead dust. Lead is a poisonous chemical found in a wide range of products, including paint, water pipes, children’s toys and cosmetics. Lead poisoning usually occurs without noticeable symptoms, but repeated or prolonged exposure may cause a plethora of adverse health effects.